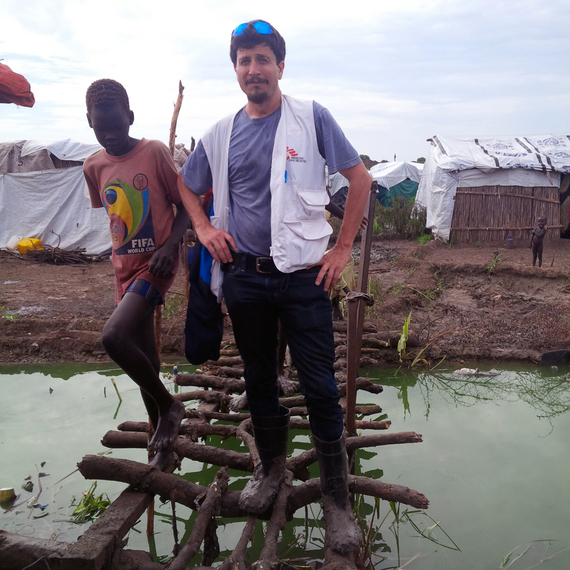 MSF Canada's Stephen Cornish is writing from South Sudan, where he is witnessing first-hand the humanitarian crisis currently affecting the world's youngest country. Since the outbreak of conflict in South Sudan last December,andnbsp;http://www.bbc.com/news/world-africa-26798721over a million people have been displacedandnbsp;by seemingly unending violent battles over key cities in the states of Unity, Jonglei and Upper Nile -- places you likely have heard little about given the tiny sprinkling of coverage this situation has received in international media. What coverage the ongoing crisis in South Sudan has received so far has been dominated by two messages: One, that a falling out last year between members of this young country's first ever government ended up reigniting long-simmering ethnic tensions in South Sudan, which eventually exploded into open conflict. Two, that the United Nations is predicting a dire nutritional crisis of "man-made origin" to take place before the end of this year, citing the potential forhttp://www.unicef.org/media/media_73048.htmlandnbsp;up to 50,000 children to perishandnbsp;if intervention isn't scaled up in time. 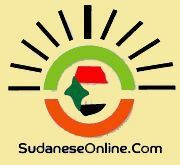 There is, however, another crisis looming in South Sudan, one that affects hundreds of thousands of civilians seeking to escape the brutal violence of the current conflict. Fortunately, this "protection crisis" can still be averted -- but only if urgent measures are taken as soon as possible. Since the outbreak of violence last December that sparked South Sudan's current misery, armed men on both sides of the conflict have terrorized the country's civilian population with killings, random attacks and other forms of brutality. In the face of such unrelenting violence, it was fortunate that the United Nations already had a mission on the ground in South Sudan. Known asandnbsp;http://www.un.org/en/peacekeeping/missions/unmiss/UNMISS, the mission's initial mandate was to help the country develop peacefully -- a state-building objective in which it has so far been demonstrably less than successful. But a second mandate issued in May 2014 to protect civilians has meant that UN bases throughout the country have been able to provide a shelter of last resort to thousands of South Sudanese fleeing for their lives. These Protection of Civilian (POC) sites were initially ill-equipped to provide adequate food, water and shelter for the thousands of people seeking help, but they did offer refuge from violence, and therefore a fundamental form of protection. 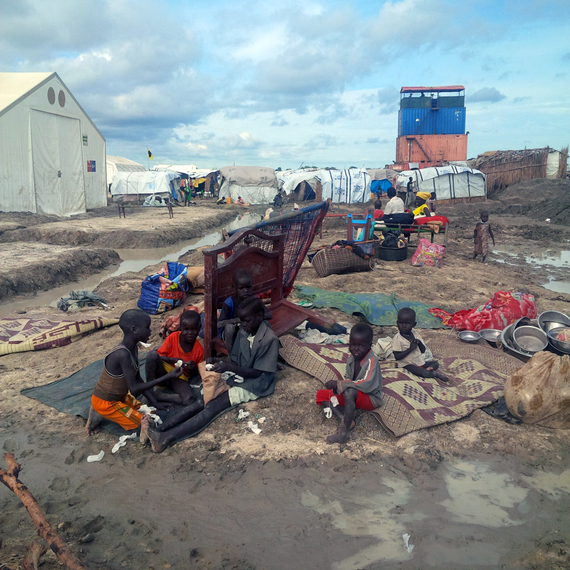 But severe overcrowding has combined with South Sudan's notorious rainy season to turn a number of the UNMISS sites into waterlogged cesspools of misery. The living conditions are abysmal, with water and food in continuing short supply, and most people confined to low-lying areas, which have become swamps of infestation and disease. Violence, malnutrition and the recent scourge of cholera have only added to their misery. Months into a new mandate to protect civilians, and the definition of "protection" appears to apply in only the most narrow sense: Contained by wires and barricades designed to keep violence out, the people inside many POC sites are under dire threat from disease, malnutrition and strife within. Frustratingly, basic sanitation is all that is needed to counteract some of the most immediate health threats. While some managers of these UN sites have wisely insisted on improving drainage, digging more latrines and putting greater distance between tents, others have chosen to ignore the dangers -- in some cases suggesting that the displaced were used to living in such conditions so changes weren't necessary, or simply shrugging as if there were no way to improve drainage despite the UN's own heavy machinery sitting idly nearby. In one particularly abhorrent situation, despite being thanked by camp leaders for preventing the spread of cholera,andnbsp;http://www.msf.ca/Médecins Sans Frontières/Doctors Without Borders (MSF), which is working to provide healthcare to those trapped in the misery of many POC sites, was long denied five metres of land to install an isolation area, latrines, and a morgue at a safe distance from a new tented hospital -- basic measures that are necessary to prevent the further spread of disease, including cholera, measles, hepatitis, malaria and kala azar. By offering protection from the violence of South Sudan's conflict, the UN has directly saved thousands of lives, and is to be commended and thanked for its efforts. But now the world body is arguing internally over who should continue to protect the civilians in its charge. There are voices in UNMISS who want to hand over the camps, despite the fact that there is no one else who can guarantee the residents physical security. For civilians who have been so clearly traumatized, the camps have become both protection and prison. Overcrowded, disease-infested and sometimes flooded by sewage, the POC sites are failing to truly protect the civilians in their care. A true commitment to protection must include safeguarding vulnerable people against hunger, disease, sexual violence, unnecessary mental anguish and being forced back out into conflict zones merely to survive. The UN and the major donors must see to it that funds are made available to improve living conditions for people under the care of UNMISS in South Sudan. 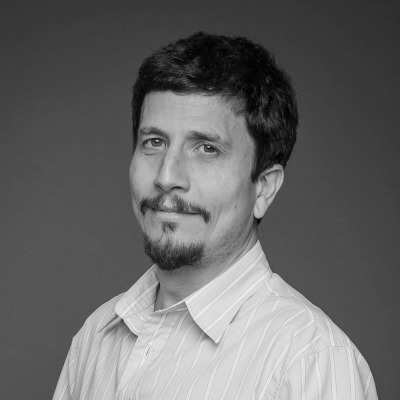 The POC sites must improve, and the arguments must cease. The UN is to be congratulated for its efforts so far in saving thousands of people from the worst of South Sudan's recent conflict; now it must save those living under its care, who find themselves trapped in another form of hell.